This fashionable Sapphyre bootie is made with genuine leather. Distressed and lightly sanded for a worn look. 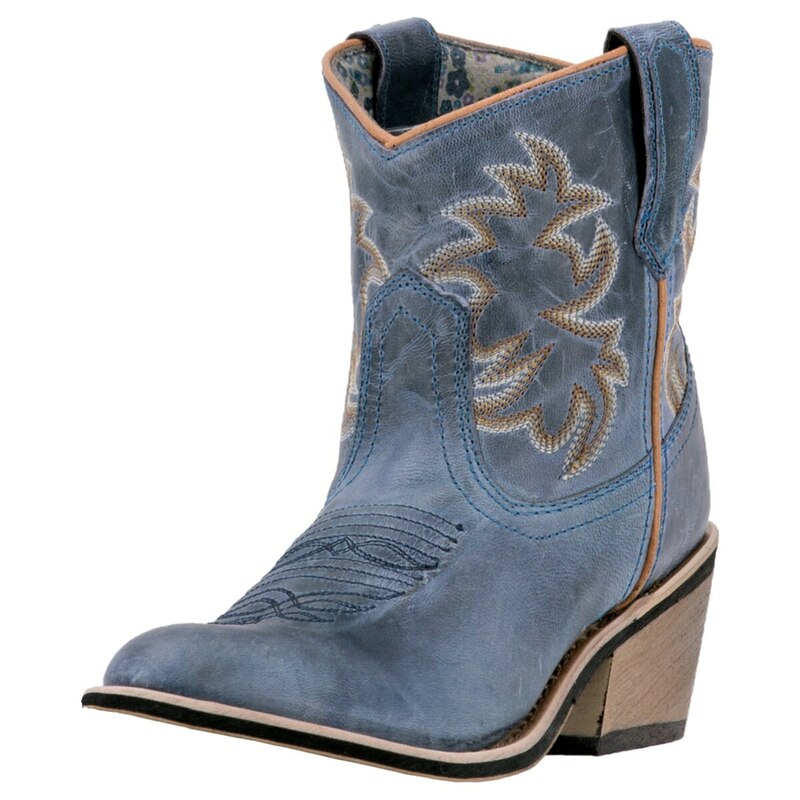 Features an embroidered western pattern and colorful piping down the shaft. Also comes with patterned lining, round toe and Laredo Flex outsole.